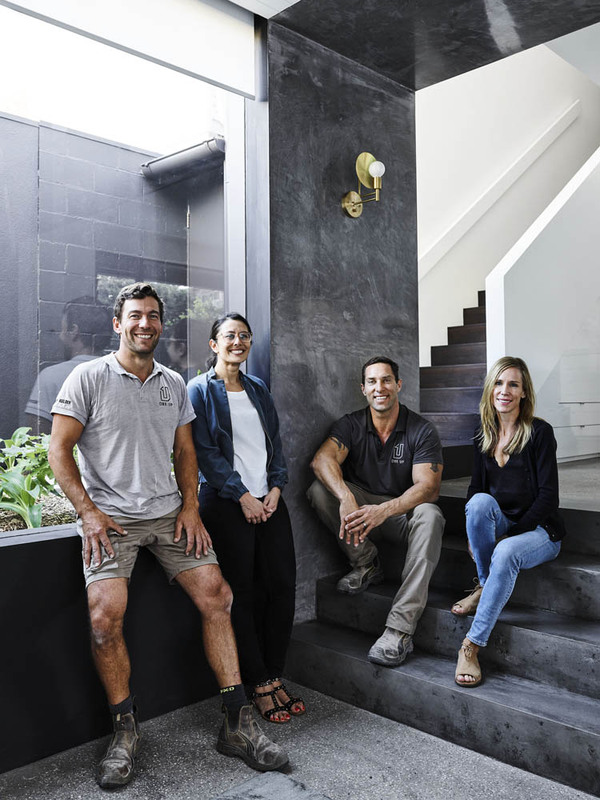 The brief to architects Madeleine Blanchfield was to introduce light and space to this Arts & Craft era family home in Coogee – capturing natural light, providing connection to the exteriors, and opening up the interior spaces. 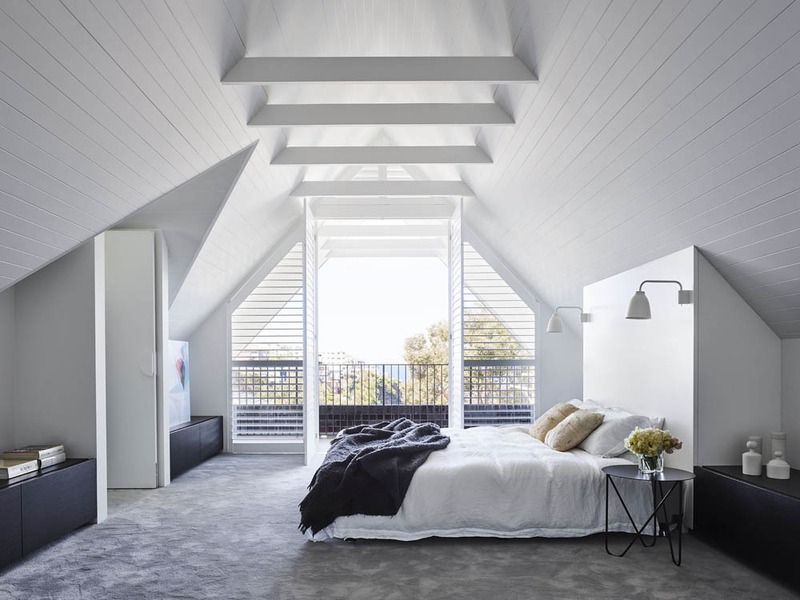 The attic boasted stunning views across Gordon’s Bay, so it made sense to transform the space into a master floor, whilst injecting a more refined aesthetic. 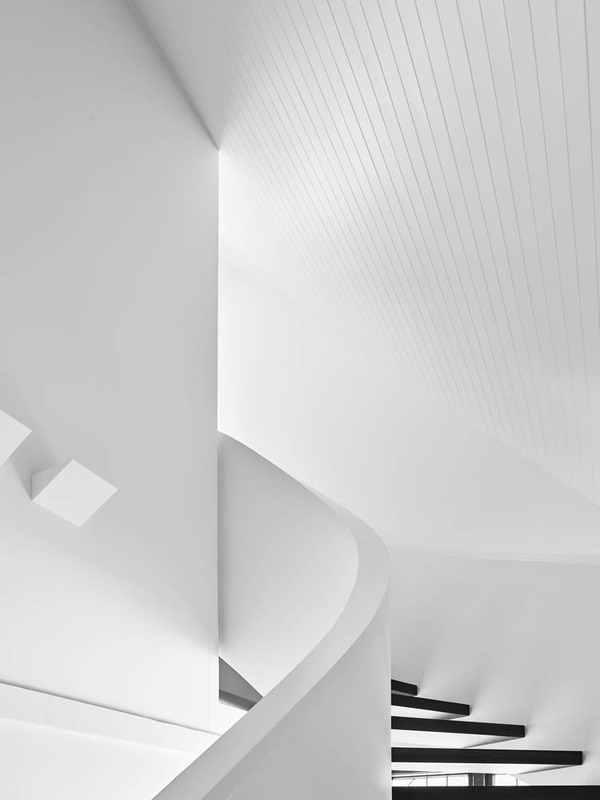 The centrepiece of the design was the creation of a light sculptural staircase connecting the new addition whilst still complementing the heavier details of the existing home. 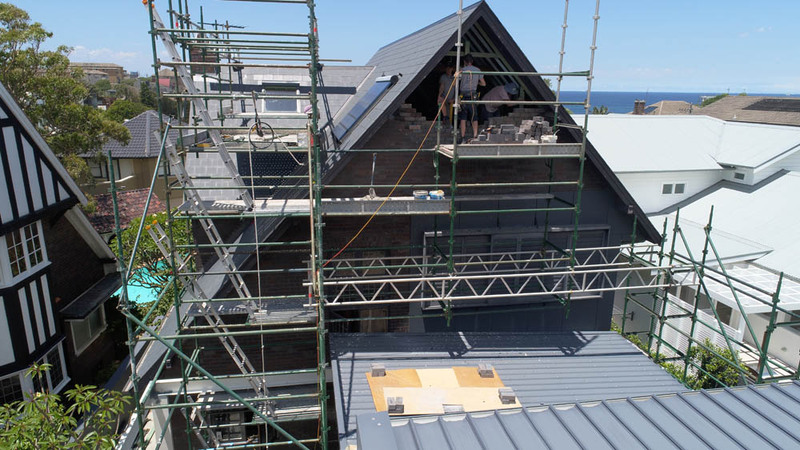 From a building perspective this posed the challenge of maintaining the design integrity, whilst providing complete stability within the existing roof structure. The existing roof framing was reinforced with a new frame structure to withstand the removal of supporting members. A further sub-frame structure was then required to achieve the design intent for the placement of overhead beams and raked linings. 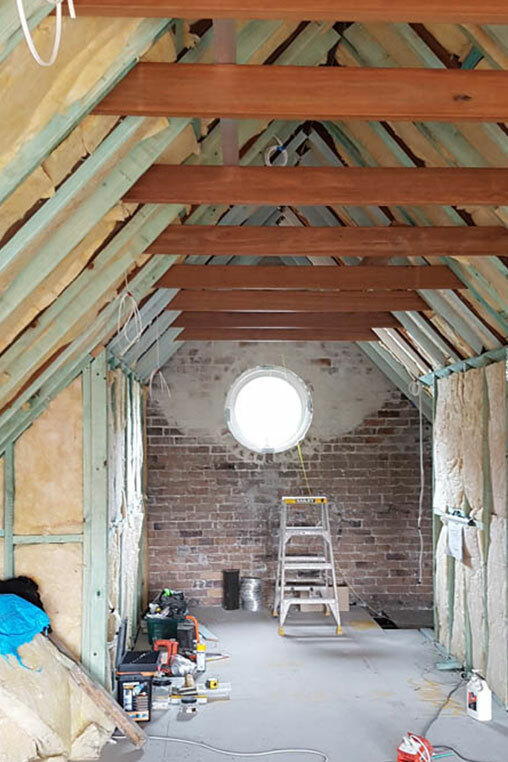 In total three framing systems sit within the roof cavity to enable the structural and aesthetic requirements of the attic. The cross bracing was lost as a result of removing the supporting attic walls, so to counter this, we constructed a modified door head and balcony railing which very delicately and discreetly provided the necessary support whilst achieving a minimalist aesthetic. The staircase presented its own challenges. 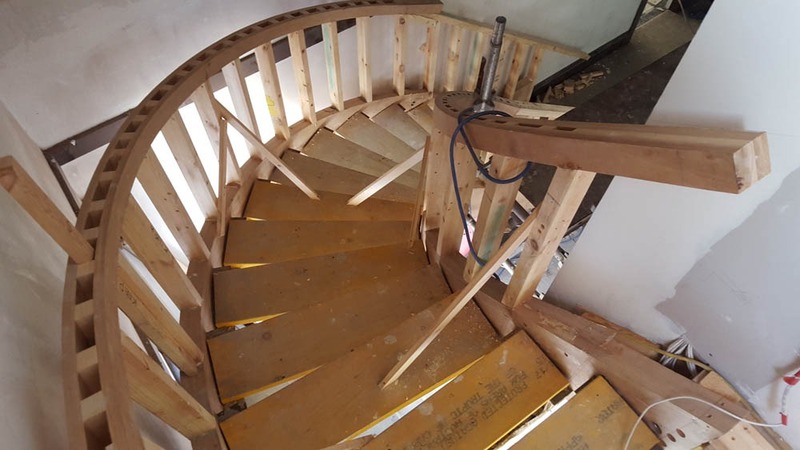 We needed to execute a tight sweeping radius that provided clearance to the raked roof above and existing stairs below. Our initial intention was to use steel, however stability could not be achieved. We decided on timber lamination – giving us flexibility and stability, whilst also enabling us to refine the detailing as we went. Concealed fixing timber treads were installed providing a dramatic entrance to the master bedroom. 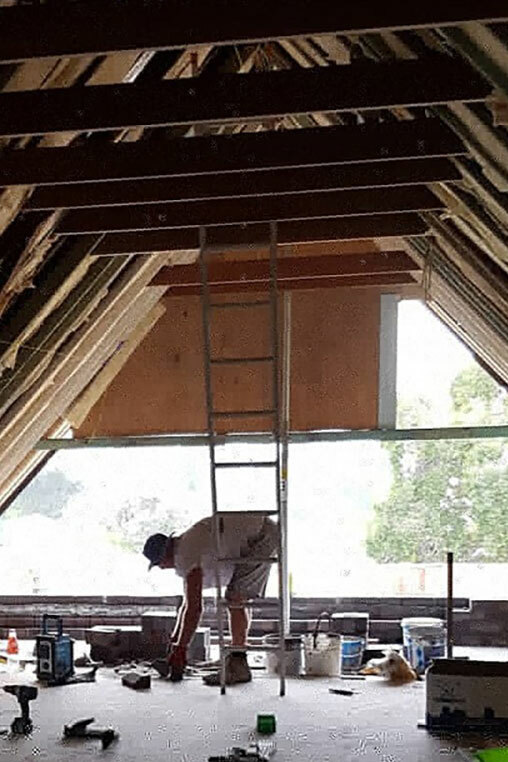 In conjunction with the attic works, we staged the remaining house modifications so that the house could be handed over as a fully completed home. 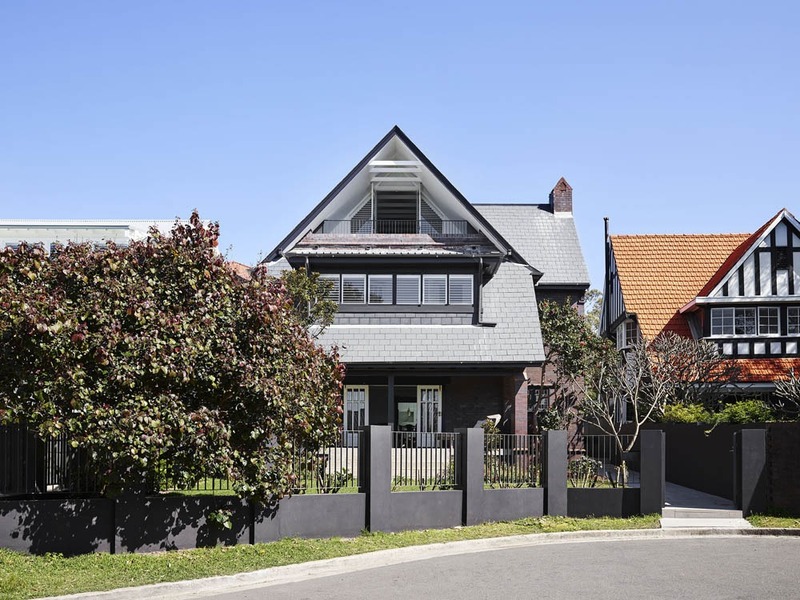 This beautiful family home is testament to our clients who were proactive throughout the process, and the great teamwork from Madeleine Blanchfield architects – which enabled us to achieve the design aspirations within budget and on time. The building and architecture team – Scott Sommerville, Nasiva Shrestha, Rick Simmons and Madeleine Blanchfield. © 2019 One Up Building.